Recently, I helped out my newly engaged friends by taking some photos for them. We did a little session in the snow. It was a lot of fun and I really was able to see their personalities together. They truly are happily in love and they have chemistry that you don't see in some couples. I came across this quote around the time I was editing their pictures and I thought it fit perfectly into this picture. I wanted to share it with you guys. I wasn't planning on it, but the more I look at it, the harder it is not to share. This shot just brings such joy to my heart and I hope it brings some joy to your's. Even though we were just playing around, walking up a hill around the corner from my house, this shot really captures their journey in happiness. And they, along with many of the couples and relationships out there will continue to be happy as long as they don't treat their happiness as a destination. They don't settle. They don't get comfortable. I really do think this quote can apply to a lot of aspects in our lives. I like it a lot. No, I love it. So many of us are wanting to be happy and in the moment. Now. Little do we realize that happiness is something we must work at and continually find and bring into our lives. Sometimes all we need is a little change to make us happy. But change takes time. Change is a journey. 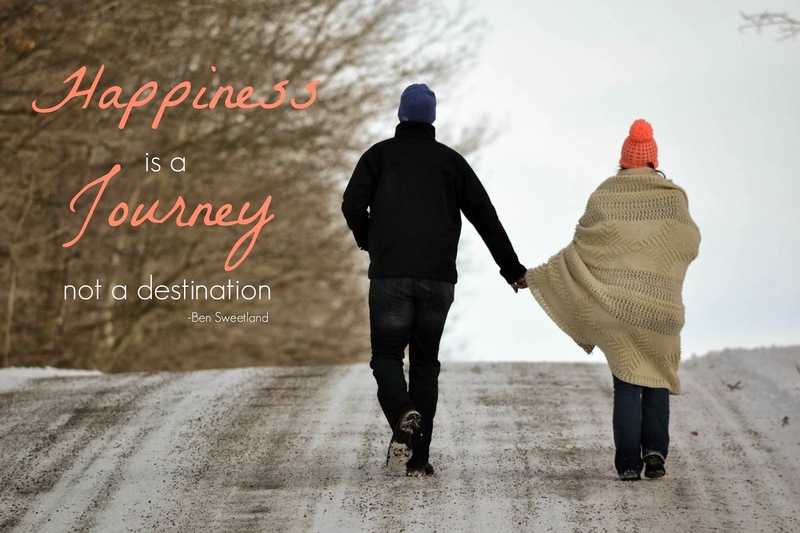 Happiness is definitely a journey. Not a destination. How will you make changes and apply this to your life? Your relationships? Your work? Choose the journey. Not the destination.